With Christmas now behind us we could be forgiven for thinking that Spring and warmer weather is just around the corner. Unfortunately, we still have January and February to get through before we can start to see the temperatures rise and the longer evenings come in. In fact, I think these first two months of the year are the hardest, not only on us humans but also on our wild bird population! Have you ever noticed how when we get snow, little robins will be seen hovering around in our back gardens? It’s almost like they are trying to tell us they are hungry and begging us to take notice and perhaps put out some feed. Once we have a heavy snowfall or a couple of days hard frost, any of the remaining berries in the hedgerows will very quickly disappear and in an effort to look after our feathered friends, I have decided to put together a little post to show a few ways in which we can feed them and see these little creatures through the bad spell! Some of the birds that came into our garden this morning! One thing you will notice when you start to leave out feed for wild birds is that they seem to know immediately that it’s there.. we only had our feeders up about ten minutes when they started to swoop in. I was amazed at the number of different species of birds there were and it can be a great game for your children to play to see who can spot the different birds!! Little birds need fat in the winter to keep up their energy up so Homemade Fat Cakes are a great idea. Here is a simple ‘recipe’ to make your own… This is something all of the family can get involved in and as you know, children like nothing more than getting their hands dirty so you should have plenty of volunteers to help make these!! Place the lard in a saucepan and melt gently. During frost and snow, it can be difficult for little birds to get access to water. It is important on these days to leave out fresh water as most puddles etc will have frozen. Great blog Bernie & very refreshing to read as it’s all interiors & clothes (which I do like but with so many blogs now it can all get a bit repetitive). We, like you, feed the birds but I personally have never made up my own mixture. Some of the children have through school. Well done on another great read. 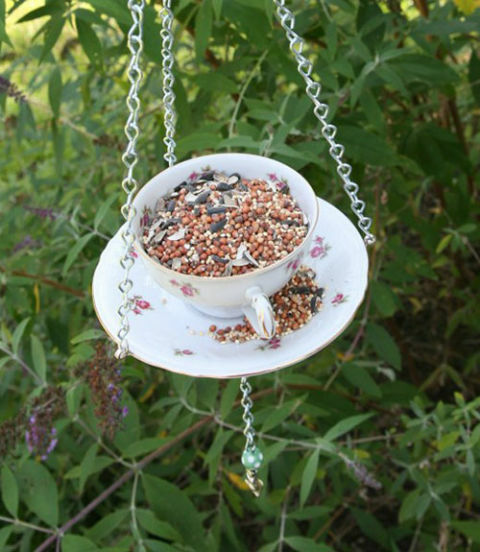 I love that teacup feeder! I only just made my own fat balls a couple of weeks ago for the RSPB bird watch. I will be doing it all the time now. 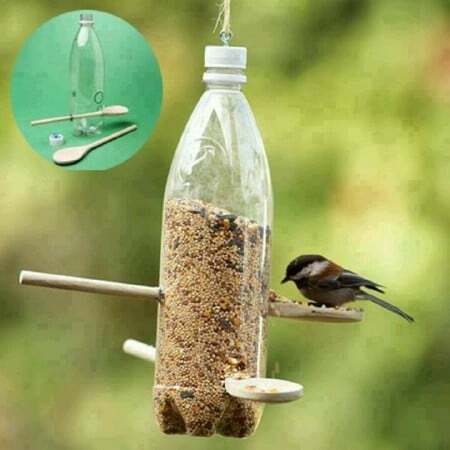 It is such a satisfying thing to do, and has increased the numbers of birds at our feeding station.